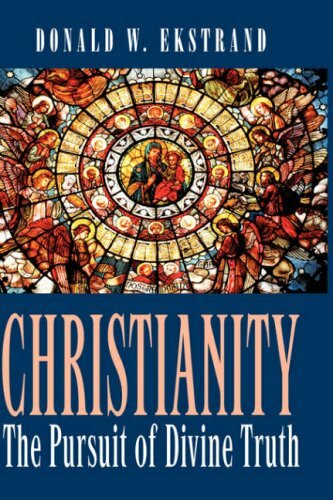 In this broad, comprehensive introduction to the religion of Christianity, Dr. Ekstrand takes the student on an exciting journey of divine truth. Written in a clear, conversational manner, he explores the truths of Scripture, the teachings of Jesus Christ, the message of the apostles, and the testimony of 2000 years of Church history. As such, this book presents the essence of orthodox Christianity as represented by both Catholic and Protestant traditions. The breadth of the material provided gives the student information that is useful for both personal reflection and group discussion. This textbook gives contemporary understanding to the dynamics of Christianity by examining it from four perspectives ¿ science, philosophy, theology, and history. Its key features include: - A working definition of religion and a description of the four types of religion - An examination of the scientific evidence that confirms the existence of God - A presentation of the philosophical arguments that affirm the existence of God - A review of the most significant theological teachings of orthodox Christianity -A survey of the history and growth of the Christian community worldwide By dealing frankly and honestly with the highs and lows of the Christian faith as it spread across the globe, the student will come to a greater understanding of Jesus Christ, and those who have followed Him over the centuries. Those who take the journey through this book will discover it be a fascinating inspirational experience. AUTHOR BIOGRAPHY OF Dr. Donald W. Ekstrand DR. DONALD W. EKSTRAND is adjunct professor of Christian studies at Grand Canyon University, and religious studies in the Maricopa Community College District in Arizona. Dr. Ekstrand holds degrees in business, education, theology and divinity ¿ he received his undergraduate education at Arizona State University, his training for ministry at Talbot School of Theology, and his doctoral education at Western Seminary. He has served in teaching and executive administration positions for more than 30 years. Don and his wife, Barbara, have two grown daughters and live in Phoenix, Arizona.